Because irregular applications have unpredictable memory access patterns, their performance is dominated by memory behavior. The Impulse configurable memory controller will enable significant performance improvements for irregular applications, because it can be configured to optimize memory accesses on an application-by-application basis. 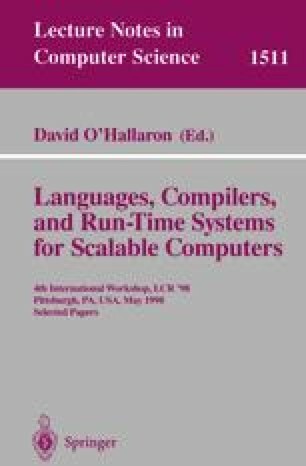 In this paper we describe the optimizations that the Impulse controller supports for sparse matrix-vector product, an important computational kernel, and outline the transformations that the compiler and runtime system must perform to exploit these optimizations.